Many of us strive to eat healthy, or at least make an attempt to demonstrate this desire, by serving certain foods to our families and guests that are known for their nutritional benefits. Enter the sweet potato, a colorful addition to any dinner table with its white, cream, yellow, orange or deep-purple flesh. Although the sweet potato can be found in most markets year round, its primary season is winter. This vegetable is a dicotyledonous plant that belongs to the bindweed or morning glory family. Scientists have researched the sweet potato and believe that it was domesticated in Central America thousands of years ago, making it one of the oldest vegetables known to man. It is said that Christopher Columbus brought sweet potatoes back to Europe after his first trip to the Americas. Because of its hardiness and adaptability, the sweet potato is now grown in more developing countries than any other root vegetable. There are roughly 400 varieties of this root vegetable—some of which are shaped like white potatoes, others that are long and tapered. The best known sweet potatoes are the orange or redskinned ones that have orangey flesh. The intensity of this orange flesh corresponds to its beta-carotene content. Our bodies produce vitamin A, a strong antioxidant, from this beta-carotene. Sweet potatoes with white, cream or orange skin are most commonly found in grocery stores. The purple-skinned variety with its antioxidant and anti-inflammatory properties and purple flesh is a rare find. It is noteworthy that you cannot always tell a sweet potato’s flesh color by its outer skin. Buying certified, organically grown sweet potatoes reduces the possibility of them being exposed to pesticides and heavy metals. To find organically grown products in supermarkets, look for the USDA logo. You can eat the entire potato, including the skin, of those that are organically grown. Remove the skin of the non-organic variety as it may have been treated with dye or wax. There are two groups of sweet potatoes, which are determined by texture when cooked. The first type is firm, dry and mealy while the second is soft and moist. Over one million tons of sweet potatoes are grown in the United States each year. One-half of these come from the Southern states, especially North Carolina. Sweet potatoes are often mistaken for yams, but they are not the same. Yams come from the yam plant and have white-colored flesh that is dry and starchy. They are usually larger than sweet potatoes. Commercial production of yams in the United States is rare; even though the sign in the grocery store may say “yams,” you are probably buying sweet potatoes. When shopping for yams, it is best to go to a specialty store that carries foods from tropical countries. Sweet potatoes are a good source of vitamins A and C, manganese, copper, pantothenic acid and vitamin B6. They also supply potassium, dietary fiber, niacin, vitamins B1 and B2, as well as phosphorous. When trying to decide between a sweet potato, which has more fiber and vitamin A, or the traditional white potato that is higher in essential minerals, it really all boils down to personal preference. Both have the same number of carbohydrates per serving. Choose sweet potatoes that are fi rm, free of cracks, bruises and soft spots. Avoid those that are displayed in the refrigerated section of your produce aisle, as cold temperatures tend to alter their unique flavor. There are a number of ways to prepare sweet potatoes, from simply baking and adding cinnamon and nutmeg to boiling and mashing with a bit of butter. Cutting the potato into 1-inch slices and quickly steaming for 7 minutes is the perfect way to bring out its flavor and maximize nutritional value. Toss a few cubed and chilled potatoes into your salad to add a distinctive touch. Try them in casseroles, potpies and soups in lieu of the traditional version. The potato’s sweetness lends itself to the creation of heavenly desserts, sweet potato pie being a mouthwatering favorite. Feeling adventurous? Make that sweet potato meringue pie or tantalizing sweet potato tart decorated with a sea salt caramel drizzle. Ending the meal with this sort of scrumptious flourish might even get folks to help with the dishes, especially if you offer them a sweet potato doughnut as a reward! 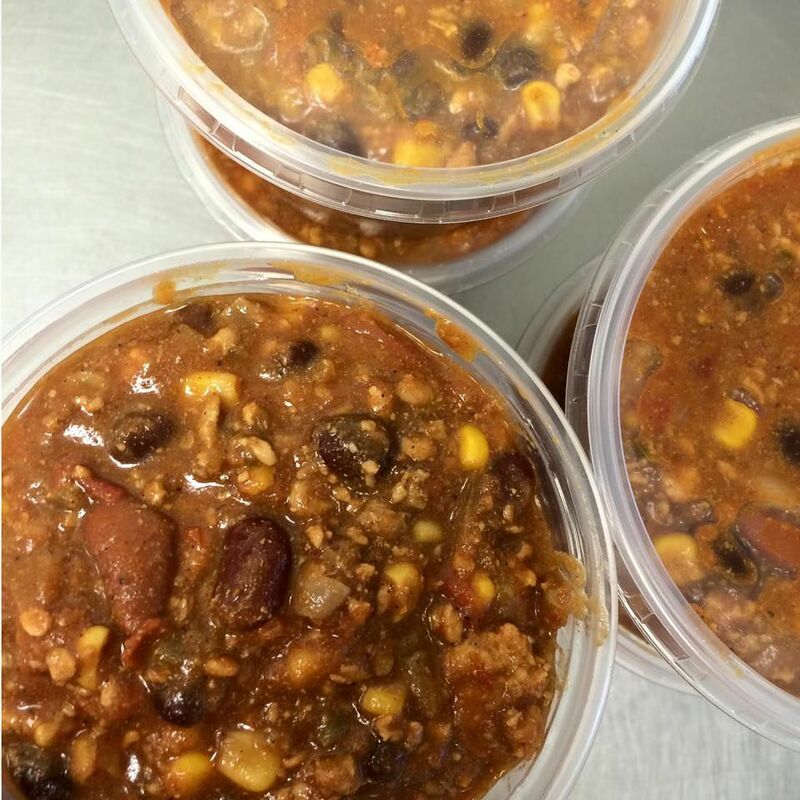 Try this Slow Cooker Turkey Chili recipe with minimal prep from Ekonk Hill Turkey Farm, owned and operated by the Hermonot family, featured in The Connecticut Farm Table Cookbook! Husband and wife Rick and Elena Hermonot are co-owners of Ekonk Hill Turkey Farm, LLC located in Moosup, CT. In 1998, they raised 15 turkeys for family and friends and have grown to 2,800 pasture-raised turkeys today. 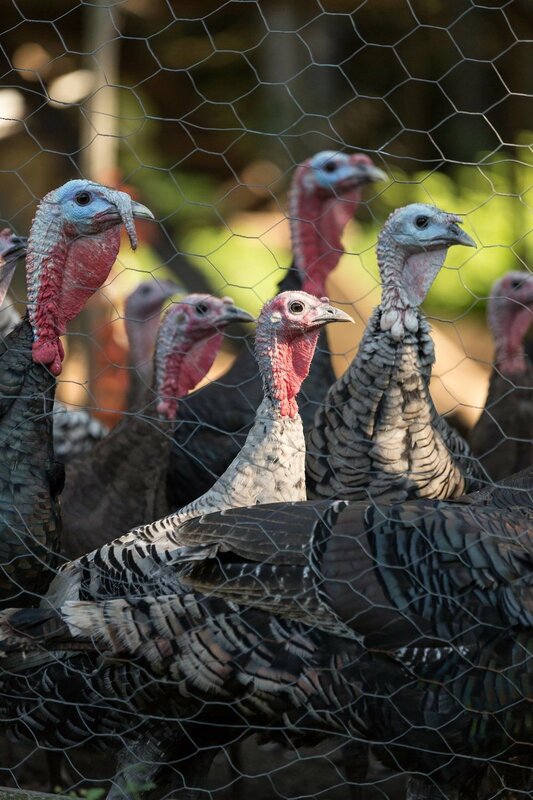 They are the largest grower of pasture-raised turkeys in Connecticut. The Slow Cooker Turkey Chili is found on page 172 in The Connecticut Farm Table Cookbook. 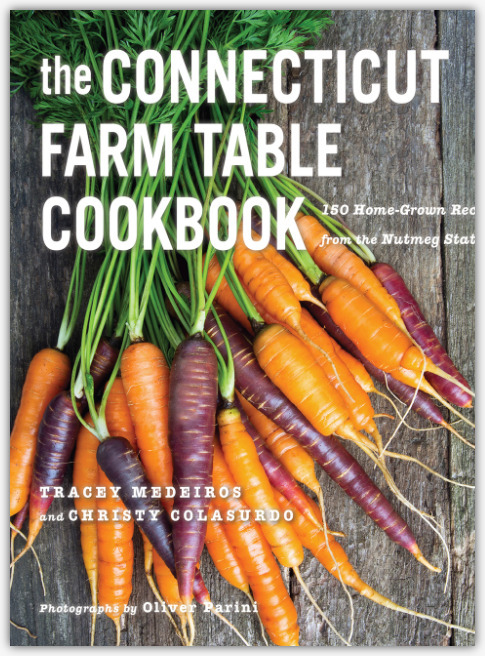 Join us at The Aldrich Contemporary Art Museum on Friday, March 2, from 6:00 p.m. to 9:00 p.m. for a tasting, talk, and cookbook signing with author Tracey Medeiros, Salvatore Bagliavio, owner of Bailey's Backyard, and Annie Farrell of Millstone Farm. Registration is required at shop.aldrichart.org. RSVP to Kris Honeycutt at khoneycutt@aldrichart.org or 203-438-4519, ext. 125.